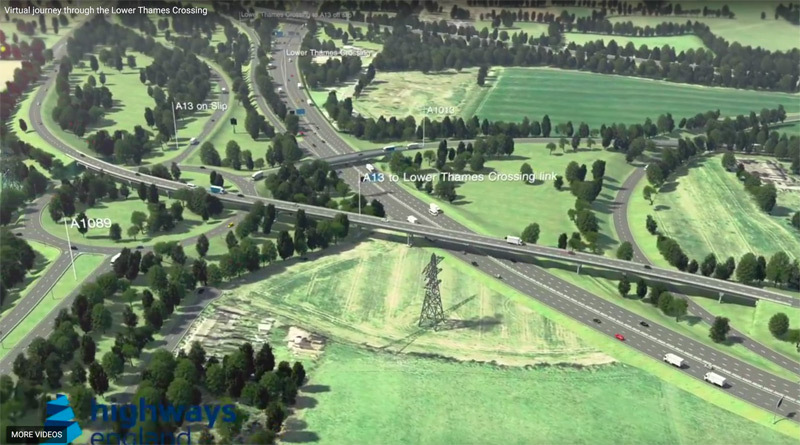 Following your email to Tim Jones I would just like to clarify that the “Fly Through” presented to the Taskforce on the 19th March and released publicly earlier in the day was a snap shot of an early stage of our design. We have tried to make this clear not only in the opening scene of the video but also at the beginning of our presentation. There are many aspects of our design that are yet to be finalised and are currently being considered in preparation for our Statutory Consultation later in the year. 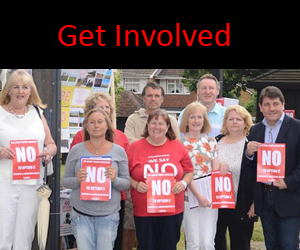 The needs of local communities is important to us when considering our proposals. We have recognised the importance of Heath Road to the residents of Orsett Heath and Chadwell St Mary and we are currently reviewing a number of options in terms of access. 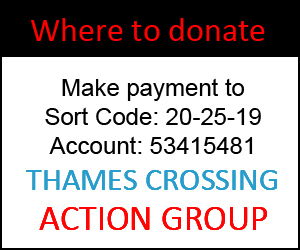 As part of our ongoing discussions with your Officers we will be reviewing our proposals for local access not only for Heath Road but for the entire route within Thurrock. I hope that I have been able to reassure you that no final decision has been made and that we are aware of the importance of Heath Road to the Local Communities. However, if you have any further specific concerns please feel free to contact us. Here is a screen capture taken from the virtual journey. As you can see Heath Road is ended with a banjo style blocked end at the junction with the A1013 and Baker St. At closer inspection Baker St junction and road is missing completely. Obviously, as Ian mentioned in the letter above, it is only a snap-shot in time.. the problem is, Tim Jones and his team said this wouldn’t happen. Why would the project director allow this kind of misleading information out, if it was something they really didnt want to happen or cared about – ie not splitting communities. 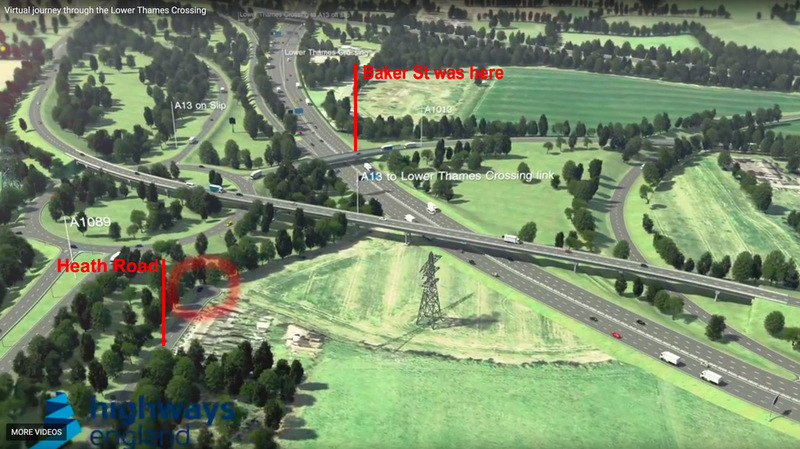 Here is a quick overlay animation showing today’s area layout – then moving to the above layout at the top of heath road.